This entry was posted in Recovery & Support on July 17, 2015 by Platinum. Life with an addiction can be truly debilitating. As your time, energy and resources become preoccupied with addictive behaviors, other important areas of your life will typically be placed on the backburner. This includes everything from your career, home life, relationships and even basic aspects, such as proper hygiene, eating healthy, and caring for yourself and your body. Addictions often strip an individual of priorities that are truly meaningful and fulfilling, leading to gradual self-destruction. Professional help and treatment is often necessary to intervene with the harmful behaviors and patterns that are associated with addiction. If you or a loved one has been struggling with an addiction, you may have enlisted the help of professional services to overcome this dangerous lifestyle, such as a treatment center that specializes in addiction recovery. Treatment can range from inpatient to residential to partial hospitalization to outpatient, depending on the severity of the addiction. Addiction treatment requires dedication and commitment, particularly as treatment may come with its own set of challenges. One aspect of treatment that may be difficult for many individuals includes the process of relearning how to care for oneself properly again. Many qualities of self-care are often lost in addiction, and acquiring basic self-care skills again is an essential component to regaining your freedom and independence after addiction recovery. This includes learning how to prepare nourishing food for yourself, getting back on a regular sleep schedule, caring for and up keeping your living area, and having adequate hygiene. Even basic skills can be unraveled during an addiction, so it is important to learn how to acquire these once again. Addiction treatment can be a tremendous opportunity to relearn these basic skills. Many residential and partial hospitalization treatment centers help recovering addicts fall back into a routine of self-care, sleep, and regular eating. 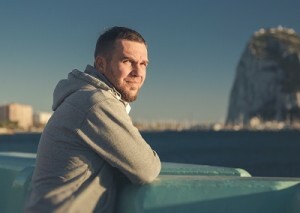 Some treatment programs offer the opportunity to live in a “halfway house”, which allows a recovering addict to adjust to life in a general society with the guidance of professionals. Learning to take care of yourself once more is a crucial and important step in recovering from addiction. In order to get to this point, it is necessary to get help for the addiction behavior first. If you are in recovery from addiction, what aspects of treatment helped you regain the ability to care for yourself?